We will be out and about in Lane Cove Plaza and surrounds on Saturday afternoon and Sunday. 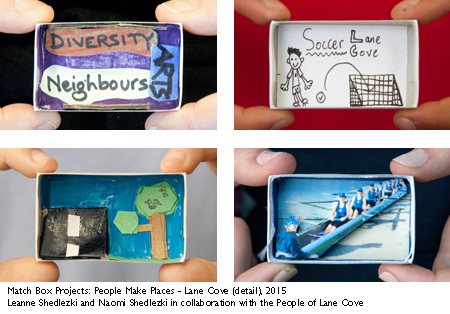 We will be collecting finished People Make Places - Lane Cove matchboxes. 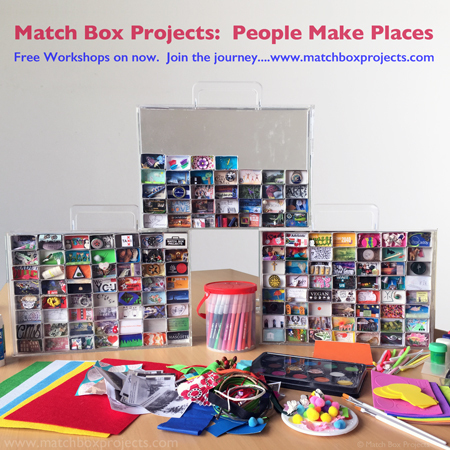 Furthermore, any of your family, co-workers and friends that would like to join the journey can collect a matchbox from us! 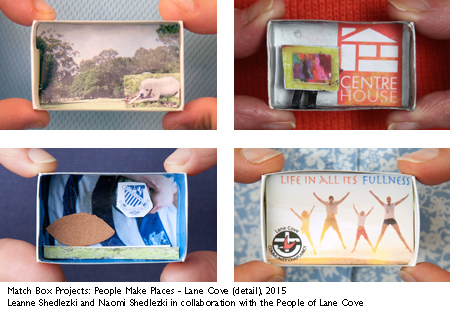 We will be collecting finished People Make Places - Lane Cove matchboxes. Furthermore, any of your family, co-workers and friends that would like to join the journey can collect a matchbox from us! The entrance is between Blue Illusion and Zjoosh in Lane Cove Plaza. We also be collecting finished matchboxes at the Cake Man.